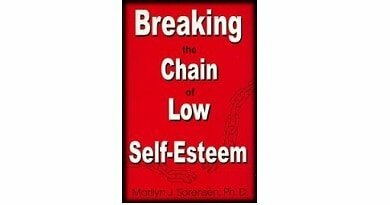 Breaking the Chain of Low Self-esteem book review by Marilyn J. Sorensen, Ph.D. 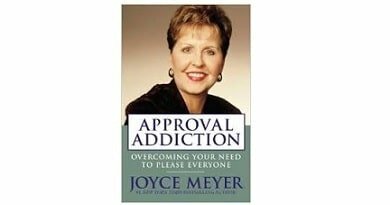 This book will empower your life and motivate you to build the life you deserve. 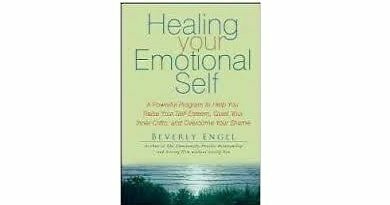 This book deals with the issue of breaking the chain of low self-esteem. It is a practical book for understanding low self-esteem, how is this view formed. The author shares the various ways low self-esteem plays out on a daily basis. The book will help to understand the underlying dysfunctional patterns common among those with low self-esteem. End self-sabotage, control negative inner voices and free yourself from the pursuit of validation. This book contains a questionnaire that assesses your level of self-esteem. Practical exercises in each chapter. Learn to face fear and anxiety. The four fears: fear of confirming one’s inadequacies.Fear of disapproval, criticism, rejection or blame. Fear that success cannot be sustained and fear of abandonment. This book walks the reader through the experience of a woman who deals daily with extremely low self-esteem. Learn what is it and how this view is formed. Discover who suffers from low self-esteem and assess your self-esteem in this book through a questionnaire of forty questions. Learn to face fear and anxiety. Understand that the inability to be alone indicates unresolved issues and is a sign of low self-esteem. How to end defeating behaviors like lying, procrastinating, isolating, not sharing true feelings and more. Stop being needy by being trying to please others, put the needs of others before yours, giving up a friend, interest to spend time with another person and more. Marilyn J. Sorensen is a clinical psychologist; she has specialized in relationship and self-esteem issues for over 29 years. Dr. Marilyn Sorensen has been interviewed on radio and television programs and has been quoted in over 125 major newspapers and magazines. Apart from her work she enjoys gardening, camping, fishing, golf, reading, cooking, hiking, going to the beach, traveling, movies, watching college football and basketball, art and art galleries. “This is a book whose essence should be taught in every grammar school. We need to empower ourselves and each other. Our internal beliefs can be altered, and we need to become aware of that. Then we can begin building a foundation of self-worth. This is the best handbook to aid in the architecture of self-esteem.” –This text refers to an out of print or unavailable edition of this title”.